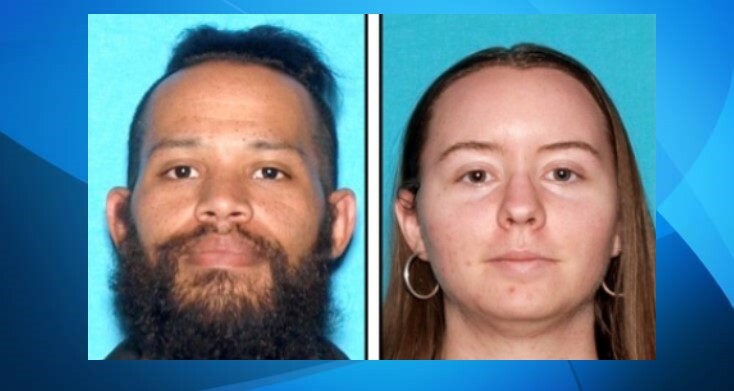 LANCASTER – Two people found dead in an apparent murder-suicide are believed to be the couple that was reported missing from Lancaster, authorities said. Family members contacted Lancaster Sheriff’s Station on Thursday, April 26, stating they had found Webb’s vehicle near Munz Ranch Road and the California Aqueduct, according to the sheriff’s news release. “Lancaster Station deputies conducted an extensive search of the area for the missing couple with the assistance of Aero Bureau. At approximately 3:30 p.m. they were able to locate a male and a female that were each suffering from a gunshot wound to the upper body,” the sheriff’s news release states. “They were pronounce dead at the scene. A firearm was found at the location,” the news release states. Authorities believe the incident to be a murder-suicide, and the investigation is still ongoing. The deceased couple’s identity will be formally determined by the Los Angeles County Coroner’s Office, sheriff’s officials said. Anyone with information about this incident is encouraged to contact the Los Angeles County Sheriff’s Department’s Homicide Bureau at 323-890-5500. To remain anonymous, call Crime Stoppers at 800-222-TIPS (8477). UPDATE: The deceased couple was confirmed as Hailey Lorraine Mercier, 21, and Jovan Assante Webb, 30, both of Lancaster, according to coroner’s Assistant Chief Ed Winter. Webb died of a gunshot wound to the head and his death was recorded as a suicide, while Mercier died of a gunshot wound and her death was recorded as a homicide, Winter said. 25 comments for "2 found dead in murder-suicide believed to be missing Lancaster couple [updated]"
HER relatives probably didn’t approve of his genetics, and, mental instability! Wouldn’t be 1/2 surprised, if her Caucasian relatves, were prejudiced against this dude for being, black, and emotionally, spiritually, unstable, and lacking! White DNA! Our dear colleague #HaleyMercier was an earth angel, she was always kind and shared a smile with everyone she passed. It was such an honor to know her and work along side her, I remember how powerful and peaceful she was. She didn’t really speak much, yet the way she would acknowledge people always left a very pleasant and lasting impression. If you wanted to see what someone with style and grace would look like, Haley would be one to show you. We are all deeply saddened and mourn the lost of such a wonderful woman, and may God bless her with life everlasting in heaven with the rest of the angels. Our prayers are with her and her family, in this time of loss. He took a youngsters life because he was depressed! No, because this was his way of controlling the situation. actually from what people who are close to both of them are saying, It was a Romeo/Juliet thing. Apparently this girls mother was at her work every night waiting on her. If she walked out of work with any males, she would get yelled at and scolded. People who knew her through school said she was extremely sheltered by her family. She meets a guy at work who was actually a pretty good person and who did have issues with depression, fell in love and then was told not to see him. Months and months of this and they decide that they want to be together but outside pressure lead them to this decision. Yes its sad that they died over something that was so mundane from our perspectives. But for them, perhaps it felt to be the only option. Dont be too quick to judge unless you are in these peoples shoes. You don’t kill someone you love. Unless you have severe mental health issues that are unaddressed. You don’t know them. He was a good man! He loved so deeply that he would do anything for it. Mental health issues don’t excuse a person to commit murder. I survived after a man with mental health issues tried to take my life. After spending a month in hospital, I left with physical scars that will be with me until I die. I understand about PTSD, but I have learned after many years of spiritual scars, to forgive, which sets a person free. I know that real love doesn’t kill. I, too, have survived domestic violence. But he would never have hurt someone against their will. I have to believe it was her wish, too. This is Haley’s Grandmother, can anyone out there tell me more about Haley’s and Jovan’s relationship. I really need to know why this happened. I’m looking for the truth. Right here. Wouldn’t want to disappoint a fan. You should probably get a life though Rick. The World is overpopulated.. they would have just made tax babies. Hey Bob, are you on Facebook? If so, you might want to join Antelope Valley Voice if you’re not there already. I think you’ll fit in nicely. Bob, you can shut right the hell up. He didn’t believe welfare babies were at all fair. He didn’t even really want kids. He was a good man with some issues that were never properly addressed. Take your racist judgement elsewhere. You have no right to speak ill of the dead, especially having not known them. You have no right to pass judgement by looking at pictures and deciding who they were based on their races. Go to hell. Spoken like a true coward, may Hell consume you and the rest of the four legged animals that conspire with you. Surely you will burn and even the Devil and his demons will despise having you Bob, as a guest in the deepest pit of the God forsaken and dammed… Surely you will have earned your place of receiving torture, pain and suffering throughout the ages. The Lord thy God will have no mercy on you or your people in the day of Judgment.